A court, not an arbitrator, decides the threshold question of whether the exclusion of Section 1 of the Federal Arbitration Act applies to a “contract of employment” that contains an agreement to arbitrate and the exclusion applies to all workers, including independent contractors, engaged in interstate transportation. New Prime, Inc. vs. Oliviera, Dkt. No. 17-340 (U.S. Sup. Ct., 1/15/19). Truck Driver Oliviera brought a class action against interstate trucking company New Prime, arguing it deprived him and similarly situated drivers of wages under applicable labor laws by classifying them as independent contractors rather than employees. When New Prime sought to enforce an arbitration clause in Oliviera’s “independent contractor agreement” by moving to compel arbitration under the Federal Arbitration Act (“FAA”), Oliviera argued that the FAA did not apply to the dispute. Oliviera cited to FAA § 1, which excludes from the Act’s coverage “contracts of employment of . . . any . . . class of workers engaged in foreign or interstate commerce,” a definition he argued covered his independent contractor’s agreement. New Prime first responded that an arbitrator should decide this question pursuant to a clause in the contract delegating to the arbitrator the power to decide challenges to arbitrability. Second, New Prime argued on the merits of the issue that the FAA § 1 exclusion does not apply to independent contractors such as Oliviera; rather, it applies to employees only. 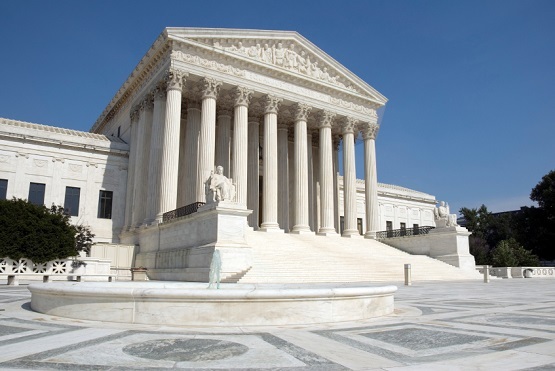 Following a split in lower courts, those two issues made their way up to the Supreme Court. The Supreme Court, in an opinion authored by Justice Gorsuch, joined by all other Justices (except Justice Kavanaugh, who did not participate), first holds that the applicability of the Section 1 exclusion is an issue for the court to decide, as that section defines which arbitration agreements fall within the scope of the FAA. The Court examines the statutory framework and concludes that, before a court can enforce a delegation clause, which is, in essence, an agreement to arbitrate arbitrability disputes, the court must conclude that the contract is governed by the FAA. Therefore, Oliviera’s objection to arbitrability here is an “antecedent statutory inquiry” for a court, not an arbitrator, to make. Second, the Supreme Court rules that the Section 1 exclusion applies to contracts of employment of both independent contractors and employees. The Court reasons that the statutory language – “workers” — has a broader meaning than employees. At the time of the passage of the FAA in 1925, the term “contract of employment” did not necessarily imply a modern-day legal employment-employee relationship. Rather, a “contract of employment” could include an independent contractor’s agreement to perform work. Thus, the court could not enforce the arbitration clause or even delegation clause in Oliviera’s independent contractor agreement, as it falls within the Section 1 exclusion. Justice Ginsburg filed a concurring opinion in which she briefly invokes principles of statutory construction that seem to depart, ever so slightly, from Justice Gorsuch’s principles. Justice Gorsuch, in his interpretation of the statute, focuses heavily on what Congress must have meant when it used the term “contracts of employment” in 1925; Justice Ginsburg agrees with the outcome of the case but suggests that it is based on reading the statute flexibly and to achieve its remedial purpose. She seems to imply that she does not interpret the Section 1 exclusion based only on what Congress meant in 1925, but based on a more modern and nuanced reading of the words.